Alliance International is one of the leading international recruitment agencies in India having its offices spread across Delhi,Mumbai, Bangalore, Chennai in Tamil Nadu etc. It works as Overseas HR Consultancy for Global Companies, Recruitment Agencies, Overseas Placement Consultancies and HR departments helping them with fast, high-quality, and specialized recruitment solutions from India. 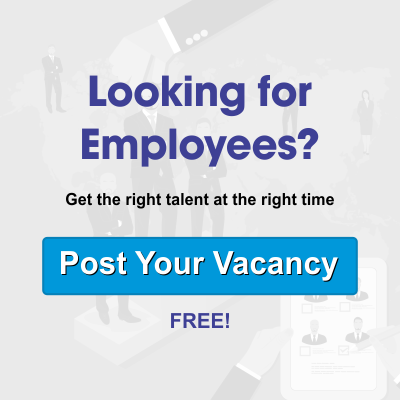 As an overseas recruitment agency, we work closely with our clients providing them Consultancy for their Overseas Jobs requirements with active support from our qualified team of professionals, foreign job agents, overseas job agencies, recruiters in Dubai, London, Canada, USA, UK, Gulf, Middle-East, and India. We are acclaimed a top international overseas consultant for industries. We also function as an overseas employment agency for candidates. Are you looking for overseas career consultancies to fill your job requirements quickly? Get access to our overseas job consultancy services now. If you are considering job consultancy from overseas to find temporary help that ease the workload and provide peace of mind for some of your important HR Advise or Recruitment projects then we assure that no project will be delayed and smallest details will be taken care of at Alliance Recruitment Agency. We offer a wide range of recruitment solutions for overseas Oil and Gas Industry, IT, Construction, Engineering, Healthcare and more. With a huge database of qualified, trained and skilled professionals in India, we are able to successfully meet the diverse needs of different industrial needs. We help the candidates out in getting jobs overseas also. At Alliance International, we have excellent connections with other consultancies and industries located overseas. We can help getting candidates placed there also. Interested in Our Overseas Jobs Consultancy Services? As a leading abroad search consultant in India, we ensure timely, high quality and affordable HR consultancy services as per custom needs of global clients with making sure the candidates is highly trained, cultured and experienced in their respective domain areas. We have been in the industry related to overseas manpower recruitment and can handle all the requirements needed for such recruitments. We have excellent contacts with other overseas placement agencies and other industries. At Alliance International, we are quite moderate in the rates that ewe charge. We believe in doing volume of business. This is possible by keeping the rates reasonable. We regularly update our rich database. This forms the major source for the CVs. We have rich experience in handling international recruitment. We are aware of the types of candidates that are suitable for different roles outside. At Alliance International, we perform an all-round service for the international placement requirement. Our job starts from the sourcing of the CVs till the joining of the candidates. We can relieve all your worries about the formalities that have to be fulfilled by the candidates for an overseas recruitment. We guide the candidates at every step. At Alliance International, we have the tie-ups with relevant agencies that can help them out with all activities such as visa requirements, travel and accommodation. We perform the preliminary activities for the interview process. We do the initial stages of the interview. When you get the candidates, you get the best of the lot. We help you in all the stages of the recruitment just as an extended arm of your HR Department. You will be able to concentrate in other important areas of HR jobs in a more tension-free manner. If you rope in Alliance Recruitment Agency as your partner for international recruitments, you can get a long standing relation through our best services. We would take up the job just as your extended HR wing. The fulfillment of the international placement needs would be done as per the need and the policies of your organization. We always strive for the 100 satisfaction levels for our clients. You can rely on our services completely. You will get relief from this tedious and challenging job. We will not only live up to your expectations but exceed them.